Background/Purpose: Hylan G-F 20 is indicated for the treatment of pain in knee osteoarthritis (OA) in patients who failed to respond adequately to conservative nonpharmacologic therapy and simple analgesics. The 26-week efficacy and safety of 1 or 3 injections of hylan G-F 20 have been widely reported, but there is limited research focusing on the long-term effects. A systematic literature review (SLR) and meta-analysis were conducted to determine the 1-year efficacy and safety of hylan G-F 20 for knee OA. Methods: A SLR was conducted by searching MEDLINE, Embase, and Cochrane CENTRAL and manual searching of relevant conference proceedings (published January 1, 1995 through May 4, 2017). Eligible studies were randomized controlled trials, non-randomized controlled trials, non-randomized non-controlled trials, and observational studies that investigated 1-year efficacy and safety of 1 or 3 injections of hylan G-F 20 for knee OA. Cohort analyses of both Western Ontario and McMaster Universities Osteoarthritis Index (WOMAC) Pain and Physical Function at 1 year were conducted for 1 or 3 injections of hylan G-F 20 using standardized mean change (SMC). Direct meta-analysis of WOMAC Pain and WOMAC Physical Function at 1 year were conducted for 1 injection of hylan G-F 20 vs. appropriate care (e.g. medications, education/counseling, weight loss, arthroscopy, etc.) or physical therapy using either reported or calculated endpoints or change from baseline values. Results:: The search retrieved 1,591 references; 22 met criteria for inclusion and were used to assess safety, 8 of which were included for efficacy analyses. Combined cohort analysis of 1 and 3 injections for WOMAC Pain at 1 year showed a decrease in SMC (95% confidence interval; p-value; I2) of -0.89 (-1.15, -0.62; p<0.0001; 90.76%). Results of separate analyses for 1 and 3 injections were -1.17 (-1.86, -0.47; p<0.001; 96.87%) and -0.79 (-1.04, -0.53; p<0.0001; 81.35%), respectively. The cohort analysis results for WOMAC Physical Function at 1 year for combined, 1 injection, and 3 injections were -0.91 (-1.14, -0.67; p<0.0001; 88.14%), -1.03 (-1.60, -0.45; p<0.001; 95.78%), and -0.86 (-1.13, -0.58; p<0.0001; 83.39%), respectively. Comparative meta-analysis of 1 injection of hylan G-F 20 vs. appropriate care or physical therapy showed a mean difference (95% confidence interval; p-value; I2) of -4.10 (-6.18, -2.02; p<0.001; 76.3%) for WOMAC Pain and -8.97 (-11.64, -6.31; p<0.0001; 0%) for WOMAC Physical Function at 1 year. Total adverse event (AE) rates at 1 year varied across the 22 studies, with 0-2% reported having serious/severe AEs, 3-19.6% for treatment-related AEs, 0.25-4.65% for drug discontinuation due to AEs, and 0-9.68% for withdrawals due to AE. Conclusion: The evidence shows that both 1 and 3 injections of hylan G-F 20 are effective at reducing WOMAC Pain and Physical Function, with statistically significant improvements at 1 year compared to baseline and standard of care. Relatively low rates of AEs further strengthen the evidence in favor of using hylan G-F in knee OA. It is likely that additional research will continue to illustrate differences in long-term efficacy and safety between hylan G-F 20 and other comparators. Disclosure: O. De Lucia, None; G. Filippou, Sanofi Italia, 5; J. Jerosch, Corin GmbH, Sanofi Aventis GmbH, 5; S. Yoon, Doctor Evidence, 3; J. F. Bitsch, Doctor Evidence, 3; T. Sayre, Doctor Evidence, 3; W. Ngai, Sanofi, 3. De Lucia O, Filippou G, Jerosch J, Yoon S, Bitsch JF, Sayre T, Ngai W. One Year Efficacy and Safety of One or Three Injections of Hylan G-F 20 for Knee Osteoarthritis: A Systematic Literature Review and Meta-Analysis [abstract]. Arthritis Rheumatol. 2018; 70 (suppl 10). 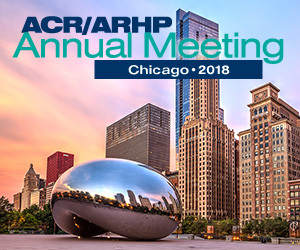 https://acrabstracts.org/abstract/one-year-efficacy-and-safety-of-one-or-three-injections-of-hylan-g-f-20-for-knee-osteoarthritis-a-systematic-literature-review-and-meta-analysis/. Accessed April 20, 2019.